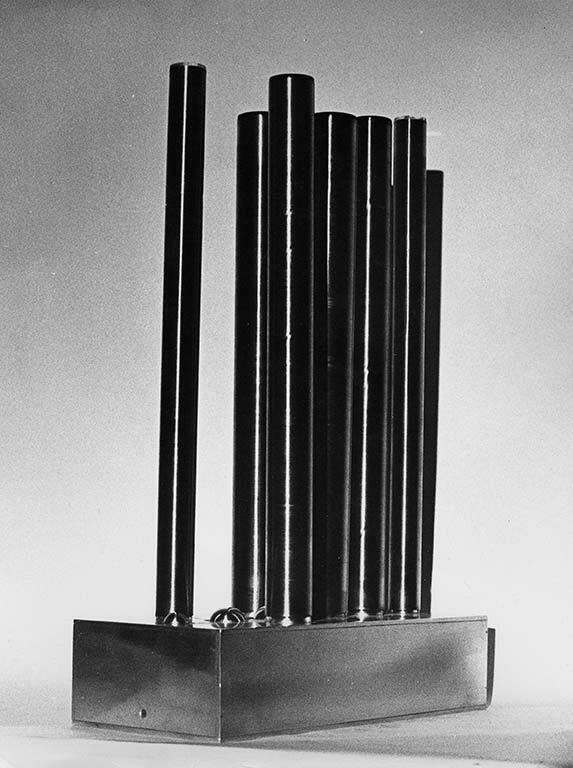 Aluminium base with nine turntables at two speeds. 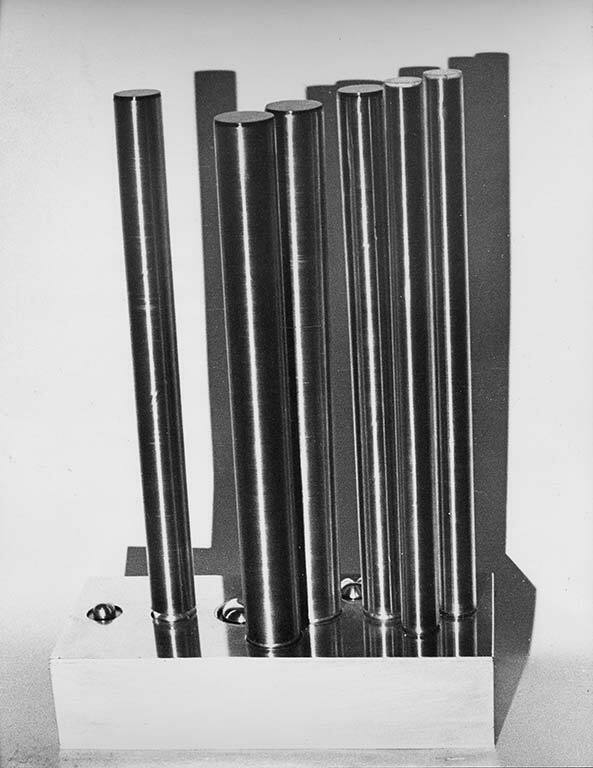 Six Perspex cylinders wound with nickel wire and with varied coloured perspex tops. 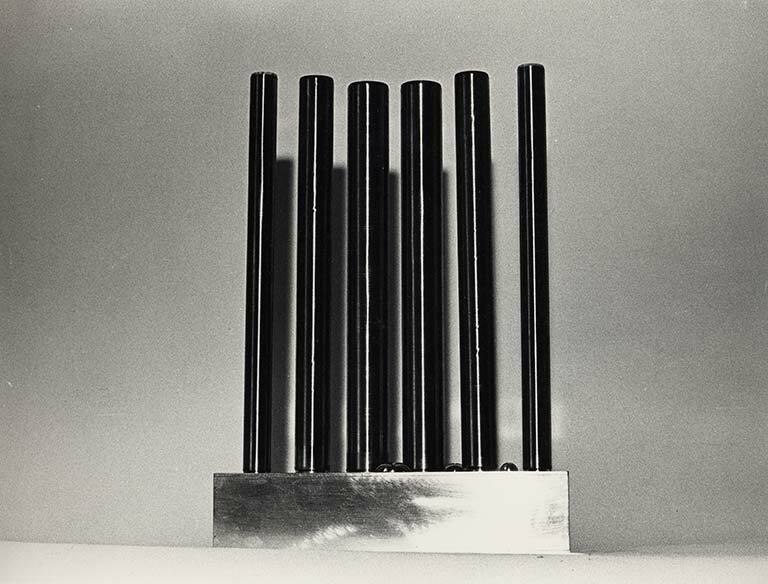 A transformable sculpture, each cylinder can be moved to different base positions on the platform which creates each time a differently configurated work. Each cylinder has a Perspex top in a different colour. Lijn used fluorescent green, orange, red and blue. When the cylinder is held up to the light the translucent coloured top bounces the light inside the wire wound cylinder, the silver-nickel wire acting as a mirror, amplifying the colour so that looking into the cylinder is looking at an intense cloud of colour.